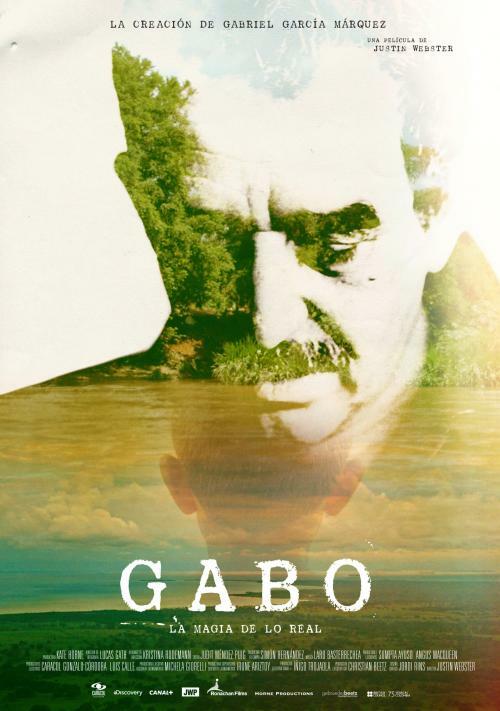 Nobel Laureate Gabriel García Marquéz (Gabo) and one of the top 10 books ever written, with a series of workshops, cultural, literary, artistic, and culinary events. The Creation of Gabriel García Márquez. Justin Webster. 90 min. 2015. Colombia. 09.29 | Thursday. * Introduced by Iván Granados Hay. Opening Reception (Music & Food) Film immediately after. 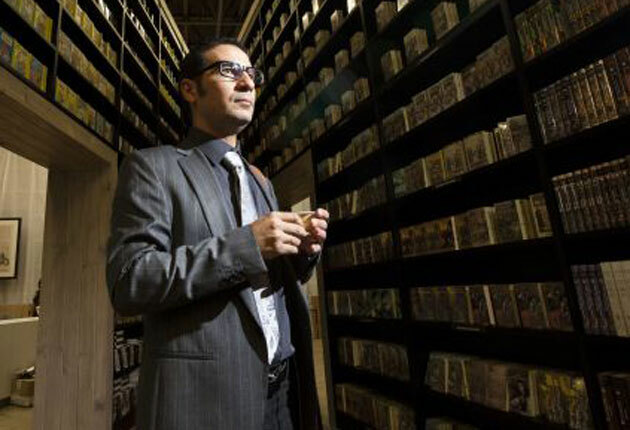 Juan Gabriel Vásquez, a rising star of Colombian novelists, has an insider’s perspective as a fellow writer: “all writing comes from some level of dissatisfaction” poses the essential questions about Gabo’s artistic struggle, his obsessions and his drive. He goes in search of answers and through his quest reveals the fascinating mixture of chance and fate that led to Márquez’s inexorable success. Gerald Martin, Márquez’s biographer, who has spent decades investigating Márquez’s life reveals the source of Márquez unique sensibilities – abandoned by his parents, educated by his war veteran grandfather and terrified – and inspired – by his deeply superstitious grandmother. His restlessness and fate took him outwards, first to Bogotá and then to Paris, as a journalist, and struggling novelist. A cast of writers and journalists, all close friends and witnesses of crucial moments in his life, relive meaningful episodes and read chosen passages from his fiction or journalism. Márquez’s story of small successes, and devastating failed attempts to realize his dream, plays out against a backdrop of Colombia and world politics – until he finally achieves huge, sudden, unanimous acclaim with the publication of 100 Years of Solitude. His fame would rise to stratospheric levels with the Nobel, in 1982. Huge shifts would take place on all levels of his life – private, public, and secret – manifesting themselves in details and anecdotes, from the creation of the greatest work of magical realism and sustained explosion 100 Years of Solitude, to how he used one of his most remarkable novels Love in the Time of Cholera, to recover and reconcile the sources of past and present pain. All through the film the theme of how Márquez struggled with reality – through fiction and his imaginative world, and through journalism and politics – is an essential thread, culminating with a revelation about how his writing achieved its special power, a particular way of understanding the magic and the realism for which he became famous. 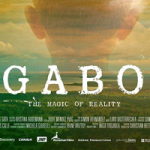 As part of the homage to Gabo’s imaginative world, and to resonate with the various stages of his life, archive combined with, or playing off evocative location cinematography gives the unfolding epic story scale, and intensity. The tension between the past, and the present, memory and the circular nature of time, all themes in Márquez’s work, are developed as an undercurrent to the chronological telling of the main episodes of his life. The principle locations of his life: Colombia, Paris, Mexico, Cuba and Barcelona. The journey of Juan Gabriel in the present resonates with the past, and drives home what is at stake, and why Gabo’s story matters. The answers lie in the incredible story of Gabriel García Márquez, the 1982 Nobel Prize winner in Literature. A law-school dropout and political journalist who grew up in the poverty and violence of northern Colombia, Gabriel García Márquez became the writer of globally celebrated, critically-acclaimed books including Love in the Time of Cholera andOne Hundred Years of Solitude. 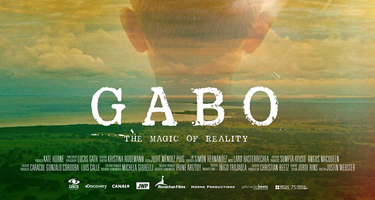 Known as "Gabo" to all of Latin America, Gabriel García Márquez's sensual, "magical" sensibility leds him to the forefront of the political struggles of the 1970s and 1980s—including a pivotal and previously unknown role in negotiations between Cuban leader Fidel Castro and American President Bill Clinton—and into the hearts of readers across the world. 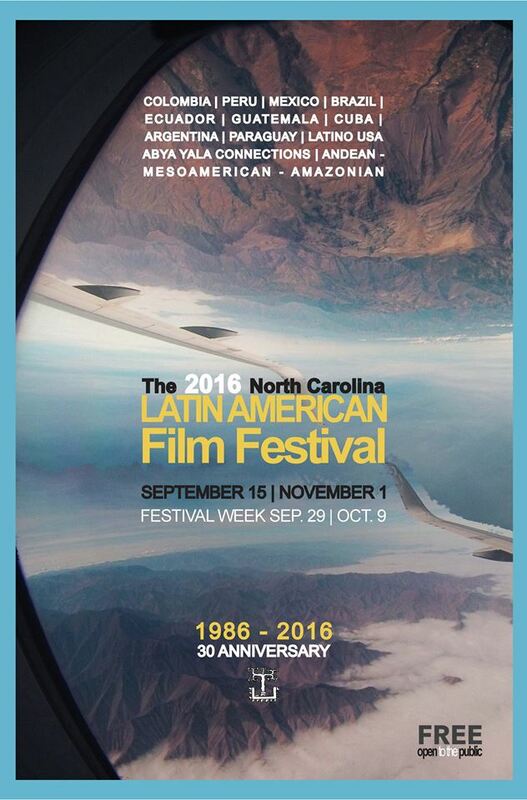 In addition to Clinton himself, the documentary GABO: THE CREATION OF GABRIEL GARCIA MARQUEZ includes former Colombian president César Gaviria along with writers Juan Gabriel Vásquez and Plinio Apuleyo Mendoza; journalists Enrique Santos, María Jimena Duzán and Xavi Ayén;New Yorker correspondent and author Jon Lee Anderson; biographer Gerald Martin; literary agent Carmen Balcells; and siblings Aída and Jaime García Márquez in its thoughtful and personal study of the writer's life and legacy.